We left off with day three of our trip to Sun Valley. The last entry was restaurant-palooza, a detailed description of all of the yummy things we ate and drank while we were there. The next installation will be about our trip to Craters of the Moon National Park. 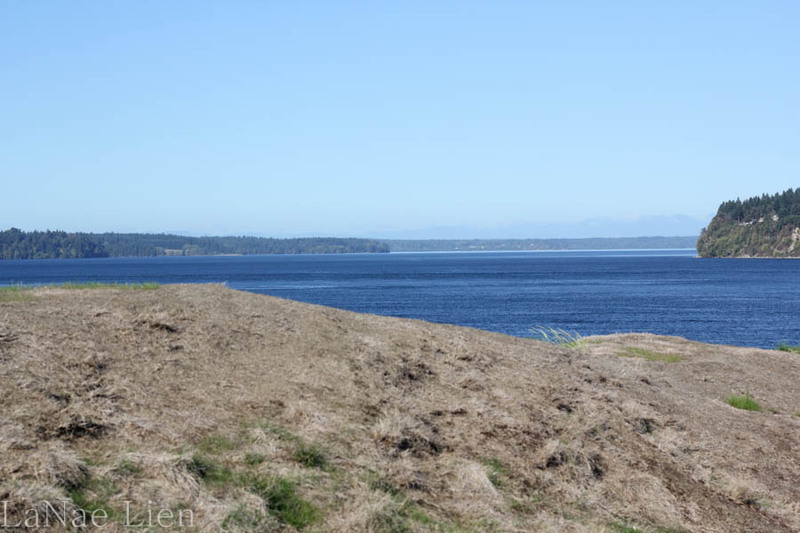 But, I wanted to pause for a moment and share about our walk at Chambers Bay this morning. The big barren space was filled with tents during the US open. 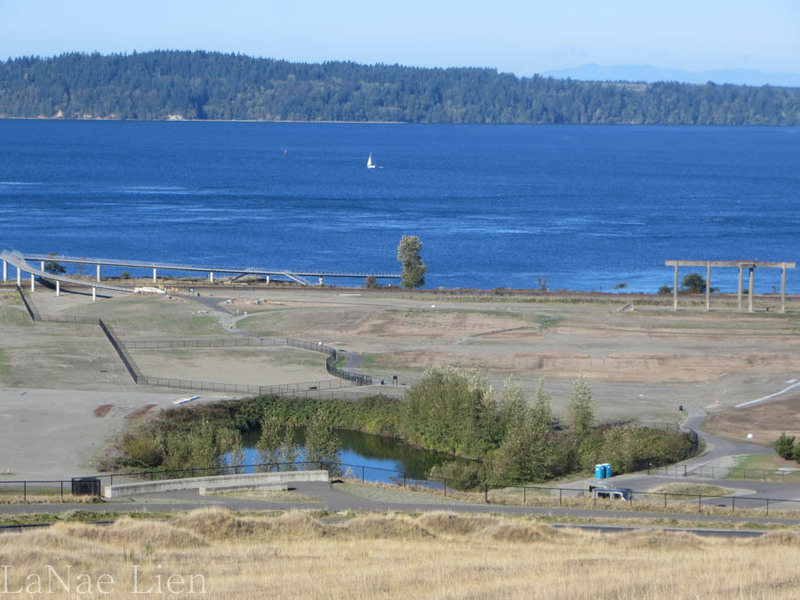 Appears they are leveling it and (hopefully) preparing to plant grass. 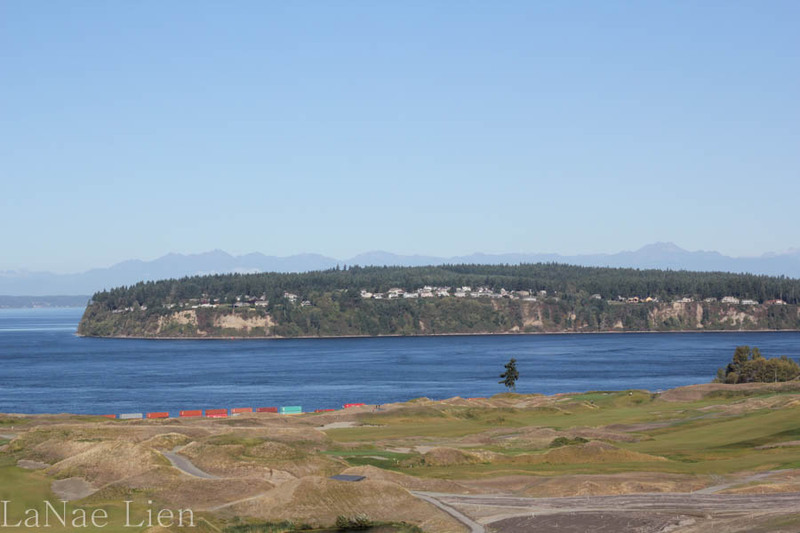 I’ve shared about Chambers Bay in the past. We’ve walked there many-a-time. But, a big event came to CB earlier this summer: the US Open. Not tennis…golf. I know. It’s confusing. Why are the big final tournaments for two very different sports called the US Open? I dunno. If you know…tell me. Anywho, we went to the US Open (sorry, golf fans) and I told you about it here. And then, there was the aftermath of the US Open, which I shared with you here. Wow. That was August 4th. 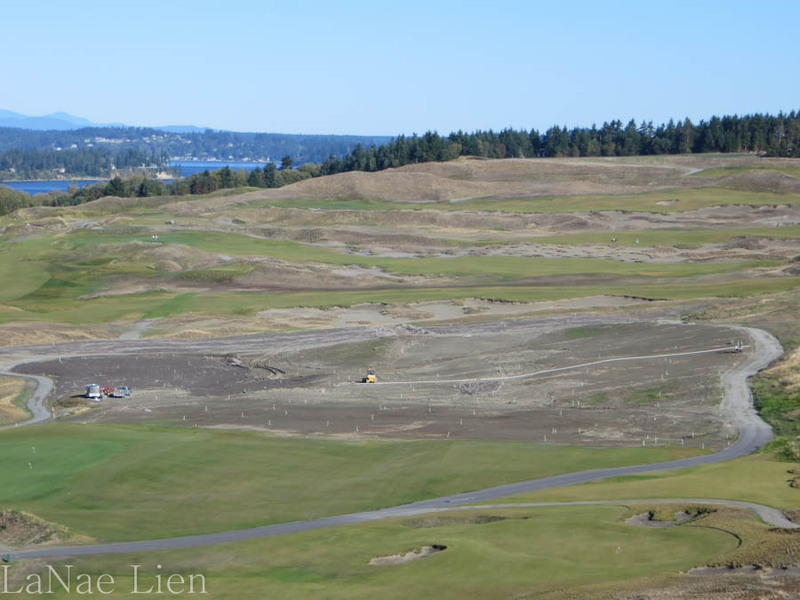 So, we’ve not been back to Chambers Bay since then. But, we woke up this morning and the weather report was good. The husband’s parents are in town and they weren’t planning on coming out to our place until around 1, so we had the morning to do as we pleased. The husband is still building stamina since his little clot incident, so we decided a walk would be about his speed. So, we headed to Chambers Bay. I’m happy to report that the 3 mile path around the course has reopened. Actually, it was slotted to reopen in late August, so I may be telling you something that’s been a reality for two months or so. How does time pass so quickly? I, again, feel like we didn’t do anywhere near as much hiking as I would have liked to have done this summer. Why is life so busy? Why does work interfere with my play? So very unfair. 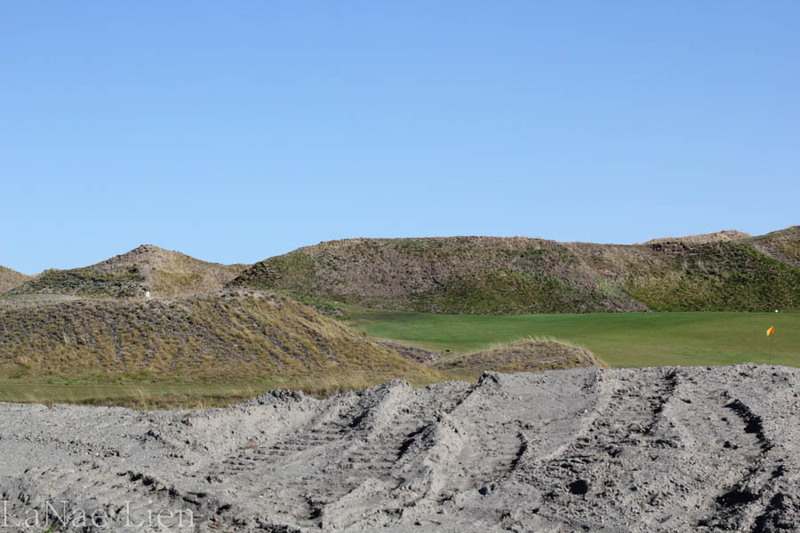 Anyways, back to Chambers Bay. Progress has been made. We were….dismayed…when we were there in August. It looked bad. Really bad. Now, in October, the piles of…crap. Can I say crap? Sure I can. It’s my blog. The piles of crap, which were remnants of the temporary buildings, are now gone. 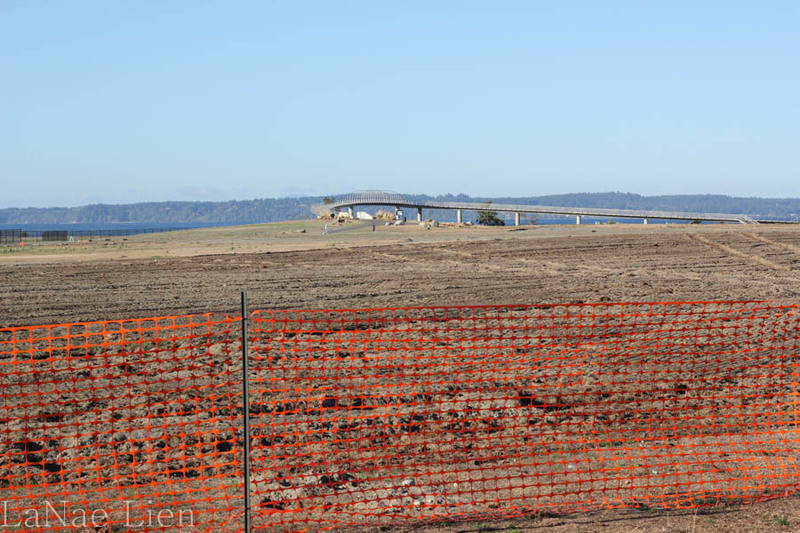 The once lush grass that made up the main area of the park down near the water is still not there. Nothing but dirt. Still ugly. But, they’ve obviously grated and replanted. By next spring things should be looking pretty good. No frolicking allowed!! Grass growing (or soon to be growing) here. Up top, grass is present in an area that housed a number of temporary buildings. Looking real good! So, the bottom line? There is hope. There is life after the US Open. 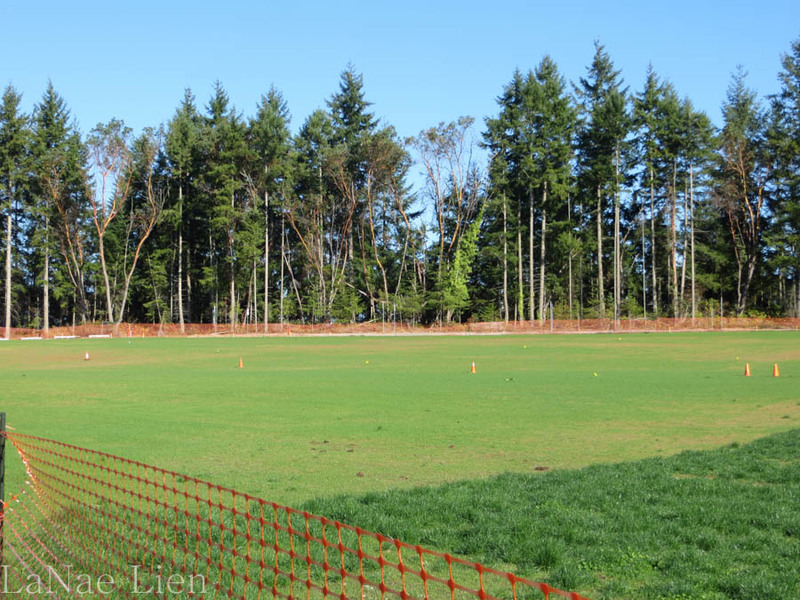 The park that we know and love is recovering and should look like “before” after a winter of good rain that will help that grass grow lush and green.